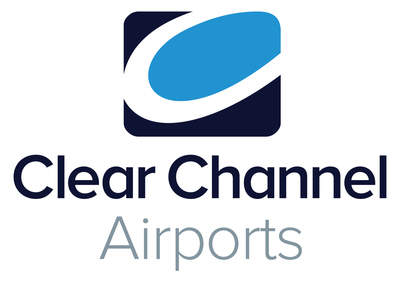 PHILADELPHIA, April 16, 2019 /PRNewswire/ -- Clear Channel Airports (CCA), a brand division of Clear Channel Outdoor (CCO) (NYSE: CCO), and an indirect subsidiary of iHeartMedia Inc., today announced Philadelphia International Airport (PHL) selected the U.S. airport media leader (CCA) for a new seven-year airport advertising contract extending a relationship that began in 2002. This win comes via a competitive process among three other out-of-home (OOH) companies and marks CCA's first major contract announced in 2019 and complements 15 wins in 2018 and 80 wins over the last 5 years. The new PHL contract and media upgrades begin May 2019. Clear Channel Airport's new ad program at the Philadelphia Intl. Airport compliments terminal aesthetics and optimizes space to connect and engage with travelers. New advertising solutions at Philadelphia Intl. Airport include state-of-the-art, large-format LED video walls, among many other sponsorship opportunities. PHL's renewal as part of CCA's robust airport portfolio will help brands reach travelers in over 260 airports across 80+ DMAs and up to one billion passengers annually. PHL is the only major airport serving the nation's sixth largest metropolitan area. More than 30 million passengers pass through annually with over 82,000 travelling through daily. The diverse passenger-base covers a broad range of origins and purposes for their travels, including business travelers visiting for conventions and tourists descending on the city for its rich historical attractions and trendy culinary scene. PHL is one of the largest economic engines in the region, generating $15.4 billion to the economy and accounting for 96,300 full-time jobs annually. 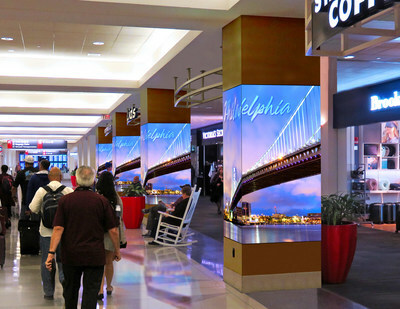 "Advertising on PHL's airport media has been a significant component of our branding strategy for the Haub School," said Joseph DiAngelo, Dean, Haub School of Business, Saint Joseph's University. "It's had a significantly positive impact on our graduate programs and our corporate outreach." Additionally, Visit Philadelphia ®, the region's official tourism marketing agency tasked with building image, driving visitation and boosting the economy has an ongoing campaign running on 53 digital PHL displays. "Our ads inside PHL enable us to welcome visitors to Philadelphia and help them plan what to see and do while they're here," said Jeff Guaracino, president and CEO, VISIT PHILADELPHIA®. "They also build civic pride among the region's residents who see the ads during their travels. We look forward to working with Clear Channel Airports and PHL to ensure our messaging continues to be as effective, innovative and impactful as possible." CCA's renewed partnership with PHL underscores the company's significant outdoor advertising presence in the Philadelphia metropolitan area. CCO reaches 94 percent of the Philadelphia designated marketing area (DMA) on a weekly basis with its OOH assets, including over 4,100 roadside displays in 13 counties. "Advertisers and business owners want to reach the audiences who matter most to them, at the right time and in the right place throughout the increasingly complex consumer journey," said Morten Gotterup, president, Clear Channel Airports. 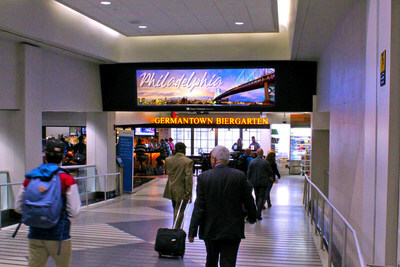 "Our roadside and airport media presence in Philadelphia complements a brand's drive, walk, fly consumer engagement strategy by allowing them to connect with audiences travelling to, and through, the market. We look forward to working with PHL to bring this opportunity to life for advertisers in an aesthetically pleasing way that creates an overall all first-impression worthy of the Philly region."